Posie Harwood, who finds the best back-of-the-box recipes in the grocery store, turns everyone into bran muffin lovers. 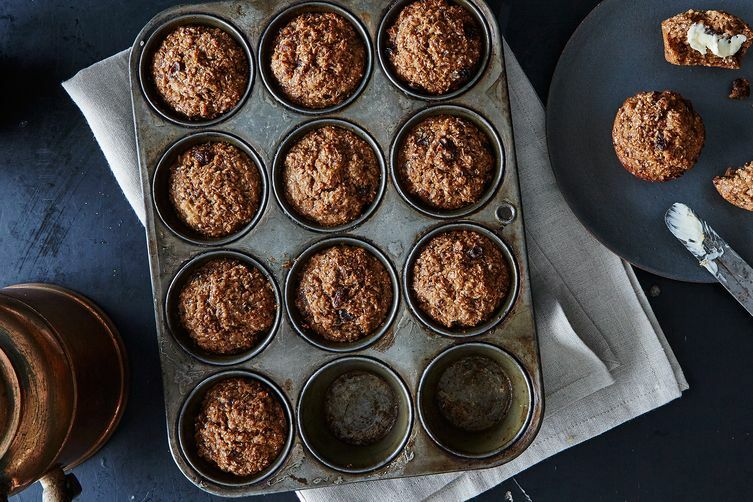 Bran muffins are not exactly the belle of the breakfast ball. Flanked by crunchy streusel-topped blueberry muffins and dainty cinnamon-sugar muffin puffs in the pastry case, they don't stand much of a chance. I'm not going to try and convince you that they're more delicious than a sticky bun; I'm not crazy. But I believe there is a time and a place for a good bran muffin, and unfortunately, most bran muffins are lacking. They taste too healthy: dry and dusty and devoid of flavor. So if any recipe will make a believer out of you, this is the one. Thanks to a hefty half-cup of molasses and a bit of honey, these muffins are moist and just sweet enough. I've adapted the original recipe, using white whole wheat instead of whole wheat. 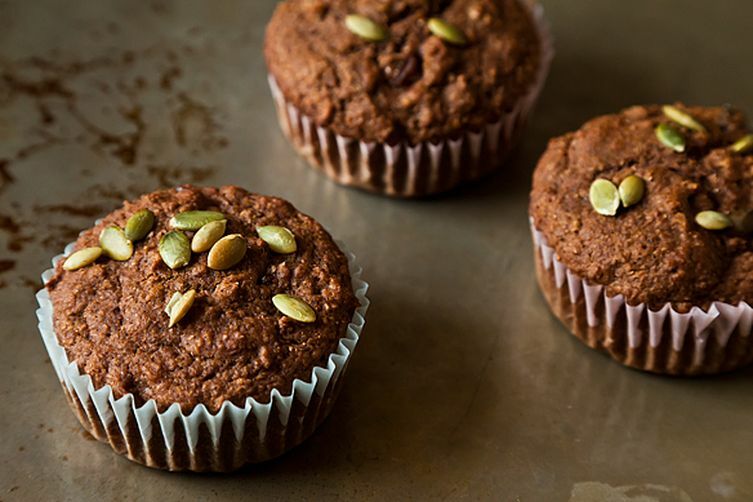 White whole wheat has a milder flavor and a more delicate texture, which helps keep these muffins out of the dreaded health food territory. I like to add a heaping pile of fruit and nuts to my muffins for a pleasing chew and extra sweetness. I've used raisins, chopped almonds, and coconut in this recipe, but feel free to sub in currants, dried cherries, pecans, and so on. Just keep the ratio the same. Now go out, bake, and spread the bran muffin gospel. I make bran muffins all the time, and highly recommend using oat bran (or half oat half wheat). It adds a bit more sweetness and avoids the sawdust texture that you can sometimes get from wheat bran.